Missions in a Box, designed for boys and girls aged 6–12, is an interactive product to make missions come alive as a family. As you engage with your child in a new culture, you'll learn about traditions, cuisine, games, arts and crafts, as well as missions work happening there—all while having a great time together. It's perfect for homeschool families looking to add a missional element to their curriculum or families wanting to learn more about missions around the world. Each box is purchased separately and delivered directly to your home. It includes a set of laminated, spiral-bound family activity cards, an interactive children’s booklet with stickers, art supplies for one craft, and a colorful, stitched patch. Your child will eagerly await the arrival of a new box in the mail! Whether you're a homeschooling mom or a parent looking to engage your child in missions, adventure is calling! As you read, cook, play, and create together, Missions in a Box lets your family experience a new culture while learning how people all over the world are coming to know about God’s love. We would love to hear your first-hand experience with Missions in a Box. Send an email to hkeller@wmu.org about your missions adventure. There's no doubt Thailand is a beautiful country. Thailand's tropical evergreen and marine national parks are home to some of the most interesting animals and plants. With all this beauty, did you know that most of the people in Thailand don't believe in Jesus or even know who He is?! With Missions in a Box: Thailand, you can learn about Thailand's traditions and pray for the Thai people as Christian workers are currently teaching them the gospel. Together as a family you can learn about missions through stories, crafts, games, learning activities, recipes, and more! More games, recipes, and fun! Watch this fun promo video about Missions in a Box: Thailand! 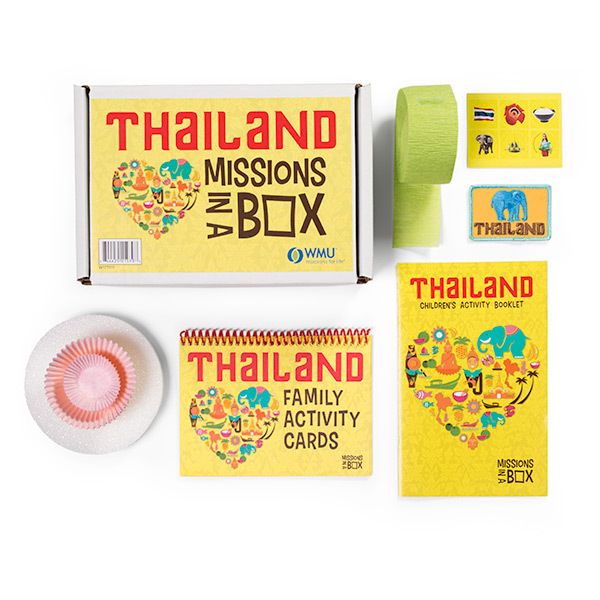 Don't forget to purchase Missions in a Box: Thailand and start your missions adventure today! Missionaries leave their home and families, and travel around the world to share the gospel. They experience the different cultures and foods, but also befriend the native people. From the Amazon rainforest to the Sechura Desert, there's so much to learn about Peru. Bring the Peruvian culture to life with Missions in a Box: Peru, and learn how missionaries are doing God's work in this beautiful country. Have fun with these Peru-inspired games and crafts! 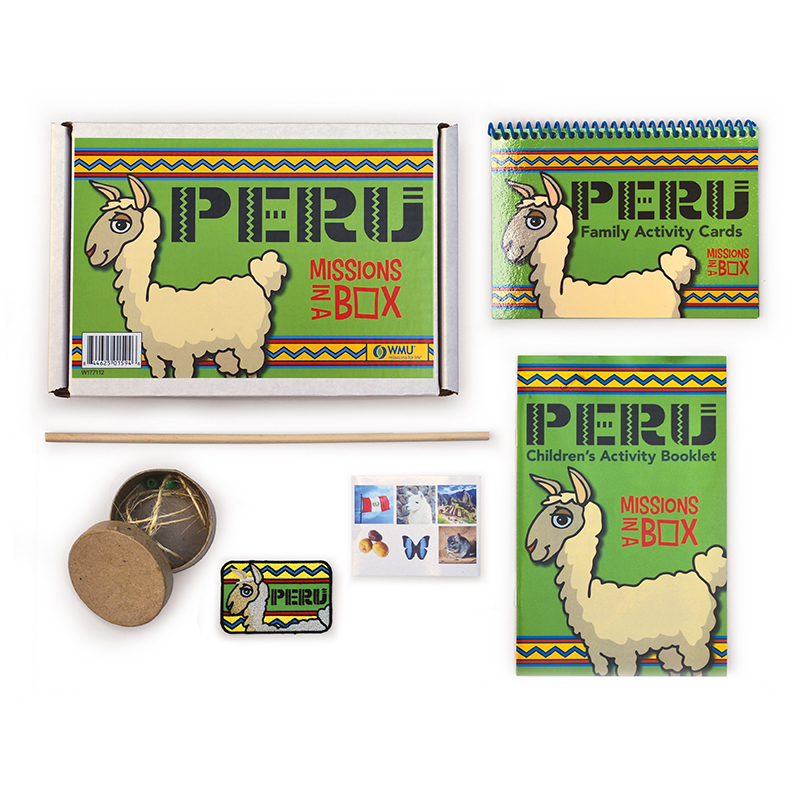 Start your adventure through Peru by watching this fun promo video and purchasing Missions in a Box: Peru!